UUALK places the highest priority on the safety of their clients and quality of their products. To achieve this aim, first the product has been subjected to strict tests on the factory under the supervision of our European engineers. Secondly, Uualk ebikes undergoes a certification process to comply with the European Standard EN 15194:2009 on Electrically Power Assisted Cycles and other European rules and regulations that applies to EPAC. And finally UUALK guarantees the reliability of their product by subjecting them to other specific regulation of European countries, like in Spain with the Real Decreto 2406/1985 and Real Decreto 2822/1998 certified by IDIADA. UUALK battery has also been tested in accordance with the UN Manual of tests and criteria, Part III, subsection 38.3.1. to be able to transport be sea and air. 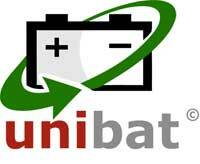 UUALK also complies with REAL DECRETO 106/2008, regarding the battery waste management. UUALK products has a CE conformity marking to Directive 2004/108/EC and also complies with Directive 2002/24/EC, Directive 2006/42/EC, UNE EN 15194:2009+A1:2012 and Spanish regulation Real Decreto 2406/1985 and Real Decreto 2822/1998. UUALK provides 2 years warranty for all their products.